The completely new portable 2-burner stoves line from Campingaz combines new design and new technology for a drastically improved cooking performance. 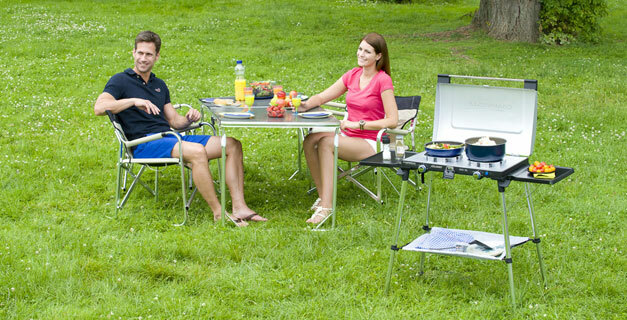 Enjoy a large range of outdoor cooking options: cook, grill and toast with fast and safe devices. Easy to start with a Piezo ignition. Next to our table-top solutions, the 600-SG have telescopic legs that increase comfort when cooking. When dismantled they can be easily stored away underneath the stove, so that these stoves can be effortlessly carried everywhere.